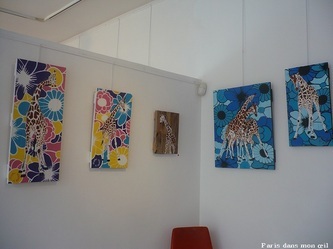 The Ligne 13 Gallery located in the 17th arrondissement of Paris, organise from 27 April to 21 May, 2011, an exhibition of works by Mosko et Associés exclusively devoted to the giraffe. 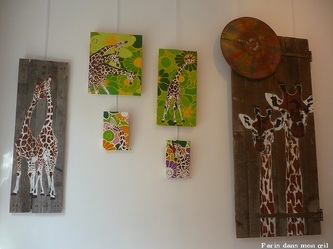 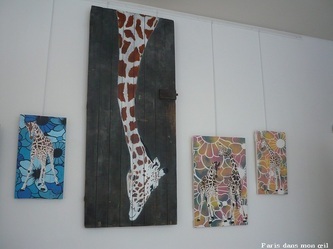 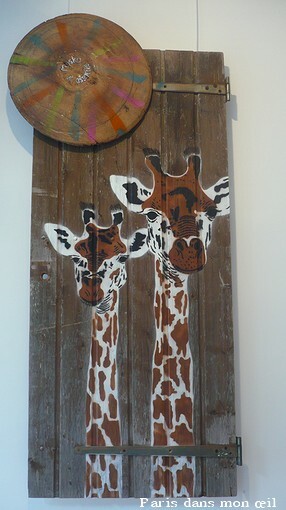 Paintings represent one or more giraffes on multicolored background with bright colors, or on a more raw material, such as wood from salvage door or shutters. 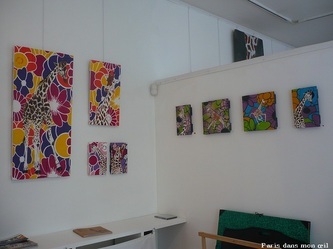 The facade of the gallery is also worth a detour. It is covered with works by many artists of Street Art, Jef Aerosol, Jérôme Mesnager, Gregos, JG... A very original fresco ! Note that the bornes are colored on the occasion of the exhibition "Around the giraffe". 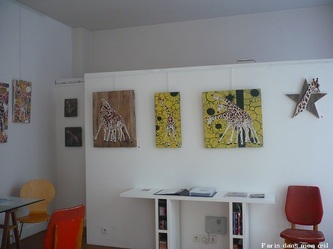 For more information about Mosko et Associés, THIS WAY.